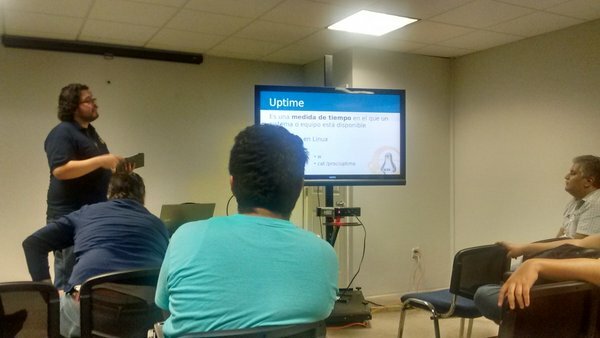 This last weekend, I had the chance to go and promote Ubuntu, just south of my home in San Diego at the Tijuana Intercomunidades meetup. The Linux Users group was able to present about Linux to the attendees, and I was able to tell people about Ubuntu while there, as well as share some Ubuntu CDs. This was a great chance for Ubuntu to grow in northern Mexico, even though it is growing already. I can not wait to go again and share Ubuntu even further. Note: Send me an email here at the link provided above to talk to me about speaking at your event or users group. Philip Ballew's blog is licensed under a Creative Commons Attribution-NonCommercial-NoDerivs 3.0 Unported License.